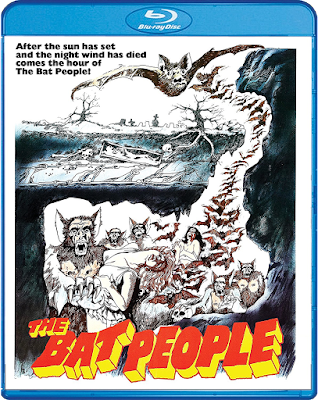 THE B-MOVIE NEWS VAULT: Scream Factory's THE BAT PEOPLE flaps its way to Blu-ray on July 18th! Scream Factory's THE BAT PEOPLE flaps its way to Blu-ray on July 18th! HALF MAN, HALF BAT, ALL TERROR! THE BAT PEOPLE DEBUTS ON BLU-RAY ON JULY 18TH FROM SCREAM FACTORY! Once part of MGM's enormous film catalog, THE BAT PEOPLE (aka IT LIVES BY NIGHT) now makes its way to Blu-ray! Once featured on an episode of Mystery Science Theater 3000, this slowburn Horror classic has finally made the transition to HD! 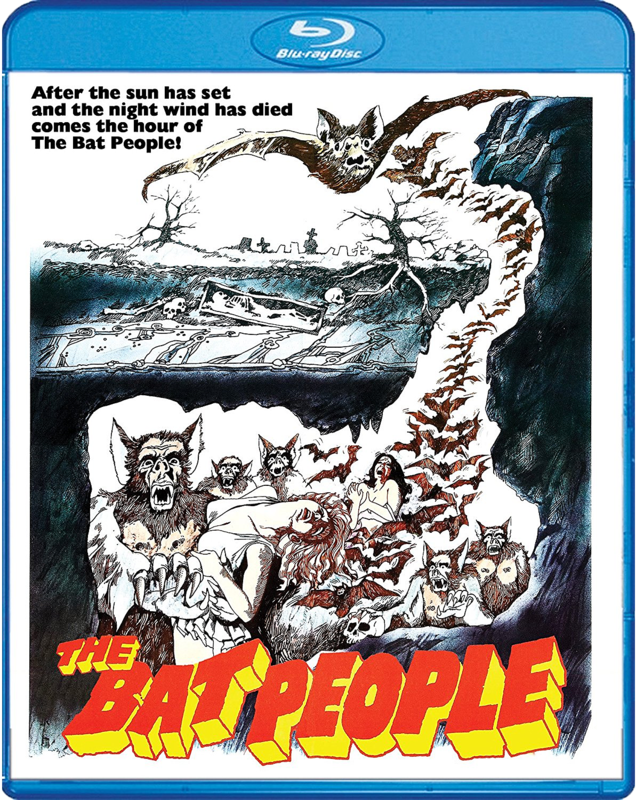 Synopsis: From director Jerry Jameson (AIRPORT '77, RAISE THE TITANIC) comes a high-flying horror from the darkest corner of the drive-in: THE BAT PEOPLE! When Dr. John Beck and his wife Cathy fall into an underground cave, a huge bat attacks them, biting the good doctor. Thinking it's only a scratch, Beck avoids treatment, and soon wakes to find himself transformed into a horrifying man-bat creature! Now one with the night, Beck embarks on a killing spree to conceal what he's become, and he won't stop until he once again has the one thing his new existence is missing... his beautiful wife! This monster chiller stars real-life couple, Stewart Moss and Marianne McAndrew! Ack! As much as I love Scream Factory, and as much as I realize that they can't give every film in their mighty catalog major TLC, I am saddened to see that this is a bare bones release. At a retail price of about $18.00, it doesn't quite seem worth it, seeing as how there's no new cover art, or a new transfer, or new audio, or any special features! (Not even a trailer?!) 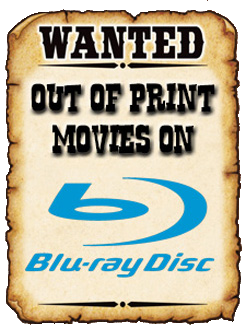 Still, if you are on the foolish quest of owning every Scream Factory title, you need this, so feel free to order THE BAT PEOPLE now from AMAZON, BULLMOOSE, DIABOLIK DVD, or SHOUT! FACTORY.